Sell-side: don’t you need an M&A advisor? Buy-side: why does M&A matter? Investaura Management Consultants was engaged by a major telecom group to perform a comprehensive valuation on non-current assets in the telecommunications network operations run by the client in four countries. The project was undertaken over a 3-month period and looked into $1bn of fixed assets in the following asset classes: Land, Building, Towers, Telecoms equipment, Software, Spectrum and licences. The revaluation was undertaken in compliance with the IFRS framework, in particular IFRS 13 (Fair Value measurement), IAS 36 (impairment), IAS 16 (tangible non-current assets) and IAS 38 (intangibles). 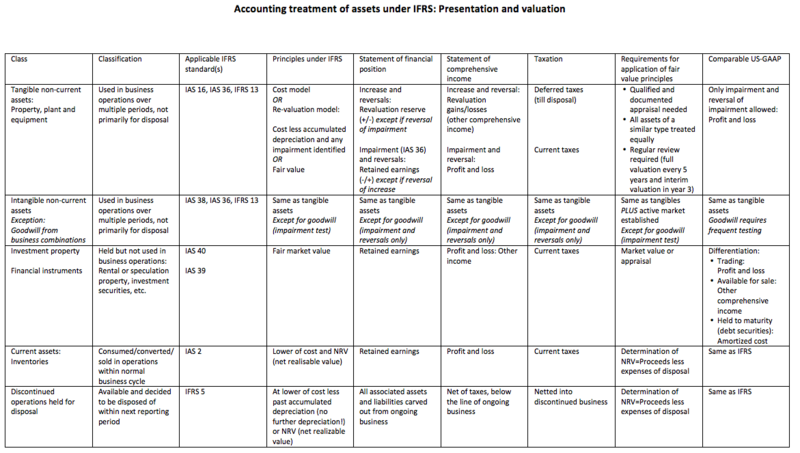 Whereas writing down non-current assets when their value is impaired is generally standard practice under GAAP, reflecting the concept of prudence, IFRS allows for a revaluation to both sides, including marking non-current assets up to market. The basis for measurement is either the cost model (historical cost less accumulated depreciation), or the revaluation model (fair market value). ensuring compliance with the IFRS framework. Of these, (1) were covered by CNC Property Valuation Services, a British real estate partner of Investaura; (2), (3), (4) and (5) were covered by Investaura. Pierre Lurin is a Partner at Investaura Management Consultants. He brings 20 years of experience in the ICT industry, having worked with Analysys Mason, Siemens and Nokia before founding Investaura in 2008. Pierre focuses on Finance related topics in particular Corporate Finance, M&A and Financial Performance Management. He can be contacted at pierre.lurin@investaura.de. Thomas Frisanco is an associate Partner at Investaura. He brings 20 years of telecoms experience, having worked on the vendor side (Alcatel, Siemens, NSN) as well as in consulting (Detecon International). He focuses on the MEA and Asian markets with M&A transaction support, restructuring, performance improvement and revenue assurance. He can be reached at thomas.frisanco@investele.com. Stefan Stanislawski is an associate Partner at Investaura. Stefan was the third person to join Analysys and played a major role in its growth from start-up into a globally respected advisory firm. Stefan has worked on projects to create the world’s fastest FTTH operator as well as planning of a 20,000 cabinet rollout. He is known for his integrity and clarity of thinking on the most complex problems and topics. He can be joined at stefan@venturateam.com. For more information about our Valuation services and general, as well as our Fixed Asset Valuation / Fair Value Measurement services, please contact us.